In this day and age, buying a home with cash is rare. And not because of the reasons you may think – such as who has that much cash nowadays? Well, that is part of the reason, but it’s a little more complicated than that. Those who have a substantial amount of cash are finding there are no homes available in their price range and suddenly they don’t have enough cash to be a true “cash buyer”. This diminishes their hopes of living mortgage payment free. For example, if a retired couple sells their home or allots other funds amounting to $170,000 for a new home, they will suddenly be facing a new dilemma – finding a home to meet their needs, that doesn’t need repairs, and is in the community they wish to live. With home prices quickly recovering in the Loveland and Fort Collins area, this scenario is playing out ever more often. This is where the Reverse Mortgage for Purchase program can provide a solution. Not only will the program add funds to the buyer’s available cash making up the difference needed to purchase an appropriate home, it will also allow that buyer to live mortgage payment free. For seniors 62 and over, with minimal credit and income requirements, home buyers are able to use reverse mortgage to purchase a new home. The amount of the down payment required from the buyer will depend on the amount of the home they are purchasing. 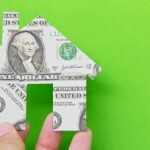 But unlike a conventional loan, not only will the lender provide the funds to make up the difference between the home price and the down payment, the new home owners will also be able to live mortgage payment free for as long as they remain in the home, freeing up income for other things – such as medical bills, in home care, or even vacations. Click here to learn more about the Reverse Mortgage for Purchase program (aka HECM for Purhcase).